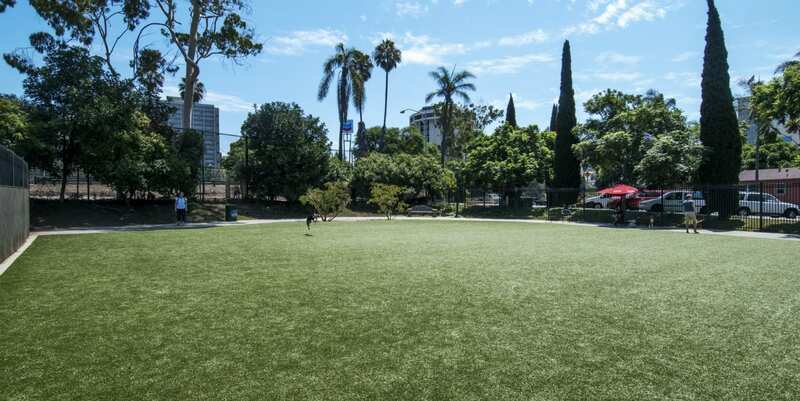 Little Italy is a trendy, upscale neighborhood in San Diego, California, with various attractions. 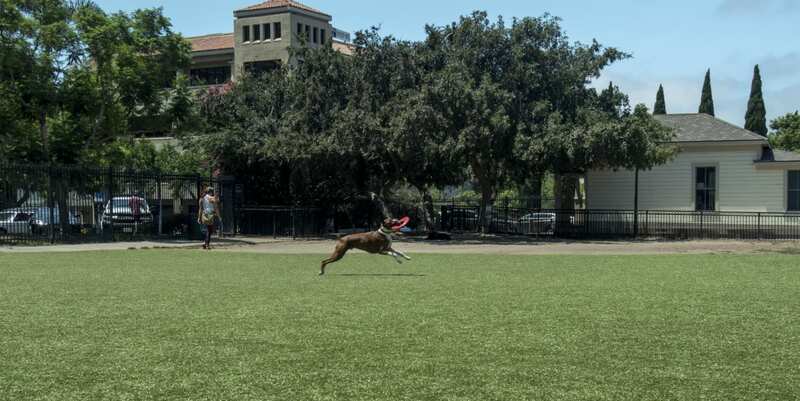 The Little Italy Team worked very hard to involve the community and fundraise for the improvement of this dog park, which is one of the focal points of the town. 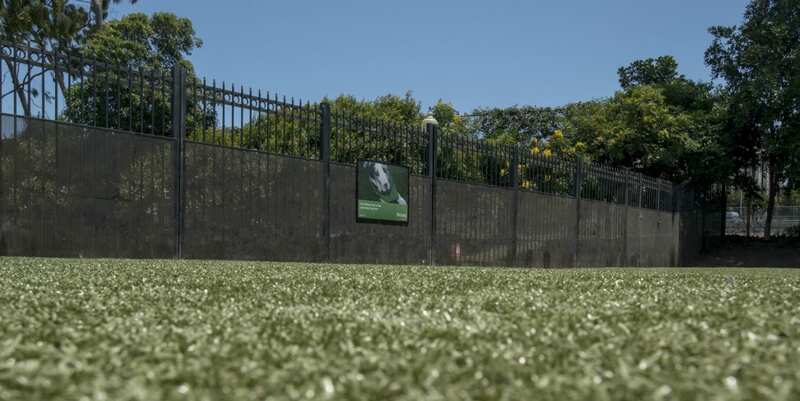 ForeverLawn Pacific Coast was happy to assist in the project, so they met with the team to brainstorm ideas to get the project funded. 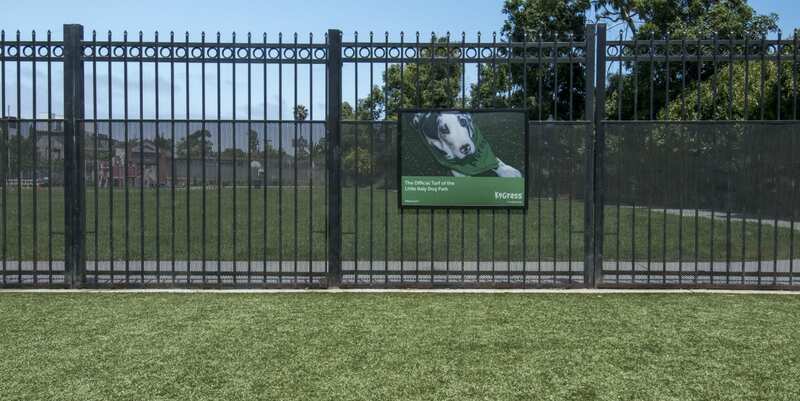 The result was an amazing 6,000 square foot dog park surfaced with K9Grass® Classic by ForeverLawn®. 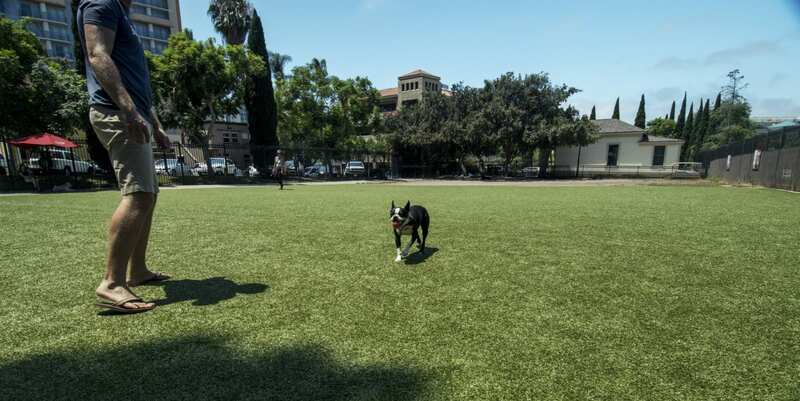 Now the park is always fresh and clean for the adorable dogs of San Diego, thanks to the 100% edge-to-edge drainability of the turf.